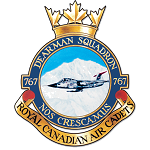 767 Dearman RCACS is proud to be home of one of the best Marching Band Programs in the province. “Dragon Flight” is the name of the Competition Band at 767. We pride ourselves on being able to deliver a fun and educational music program that is open to ALL 767 members. We can even loan instruments to cadets for very little cost (subject to availability). Currently, we have over 50% of the squadron participating in the music program. We offer a Parade Band, Competition Band, Trip Band (not all years) and a Drum Line. Band practices are on Thursday nights from 1830-2130 (6:30-9:30PM) at Frank Hurt Secondary School – 13940 77 Ave, Fine Arts Building Room 504. 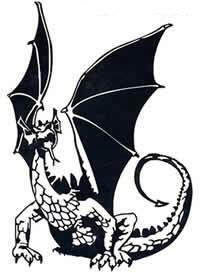 Capt K Antrobus has been the Band Officer of Dragon Flight since 2005. He has over 20 years of marching band experience and also works for Pacific Region as a Percussion Instructor. Capt L Antrobus has been Dragon Flight’s Director of Music since 2006. She has over 25 years of music experience. Capt L Antrobus received her Bachelor of Music and Bachelor or Education from UBC, and she currently is employed as a music teacher in the Surrey School District where she teaches Music 8-12. Becoming a Dragon is as easy as speaking to the Drum Major. Squadron instruments may be available for loan. Musical experience is an asset but most definitely not required. Our leadership team will make you feel like family while you get to learn your instrument.